N 1° 19' 40" and E 172° 58' 37"
Tarawa in Tarawa (Gilbert Islands) with it's 40,311 habitants is a city located in Kiribati. It's the capital of this country. Current time in Tarawa is now 07:30 AM (Tuesday). The local timezone is named Pacific / Tarawa with an UTC offset of 12 hours. We know of 8 airports closer to Tarawa. The closest airport in Kiribati is Bonriki International Airport in a distance of 12 mi (or 20 km), East. Besides the airports, there are other travel options available (check left side). Since you are here already, you might want to pay a visit to some of the following locations: Ebon, , , and . To further explore this place, just scroll down and browse the available info. Let's start with some photos from the area. "Lefty's Wolf Pack" 7th Army Air Force, 41st Bomb Group, 48th Bomb Squadron in the South Pacific. This is the biggest port in this country. In the of 1943, here Betio was one of the hardest battlegrounds in South Pacific between the US and Japan. You can see canons, bankers, and commander's building. Located at 1.41667, 173 (Lat. / Lng. ), about 6 miles away. Located at 1.42694, 172.976 (Lat. / Lng. ), about 7 miles away. Located at 1.43333, 173 (Lat. / Lng. ), about 7 miles away. Located at 1.35, 172.933 (Lat. / Lng. ), about 3 miles away. Bonriki International Airport is an international airport in Kiribati, serving as the main gateway to the country. It is located in its capital, South Tarawa, which a group of islets in the atoll of Tarawa in the Gilbert Islands. Fiji's national carrier, Air Pacific, and Kiribati's state-owned airline, Air Kiribati, both connect Kiribati with Nadi, which is Air Pacific's hub and Fiji's main international gateway. Located at 1.38167, 173.147 (Lat. / Lng. ), about 12 miles away. The House of Assembly of Kiribati has 46 members, 44 elected for a four year term in single-seat and multi-seat constituencies, 1 delegate from Banaba Island and 1 ex-officio member (the Attorney General). Created by the Constitution of 12 July 1979, its seat has been at Ambo on South Tarawa since October 2000. From 1979 to 2000, it was at Bairiki. The current Kiribati Electoral Commissioner is Rine Ueara. Located at 1.35028, 173.039 (Lat. / Lng. ), about 5 miles away. Bairiki National Stadium is located in Bairiki, Kiribati. It is the national stadium and the home of Kiribati's national football team. The stadium's capacity is around 2,500. Located at 1.32917, 172.977 (Lat. / Lng. ), about 0 miles away. Bikeman Island is a submerged islet about a half-hour's canoe ride Northeast of Betio, Kiribati. Due to changing currents and the construction of a causeway between Betio and Bairiki, Bikeman has been submerged since the early 1990s. If one were to stand on Bikeman today, the water would reach up to one's knees. A picture of Bikeman circa 1976 is available on Flickr. Located at 1.38333, 173 (Lat. / Lng. ), about 4 miles away. 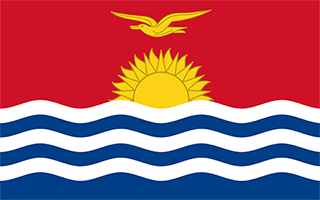 Abaokoro is a settlement in Kiribati. It is located about nine nautical miles from Tarawa. It is located in the Tarawa Atoll. Located at 1.49063, 173.026 (Lat. / Lng. ), about 12 miles away. Te Umanibong or the Kiribati Cultural Museum is a museum in Bikenibeu on Tarawa in Kiribati. It displays artifacts and other items of cultural and historic significance. Located at 1.36639, 173.121 (Lat. / Lng. ), about 10 miles away. Biketawa is one of the twenty-four small islets which comprises the atoll of Tarawa in the Republic of Kiribati. The capital of Kiribati, South Tarawa, is located on Tarawa. The 2000 Biketawa Declaration on Pacific regional security takes its name from Biketawa. Located at 1.43605, 173.073 (Lat. / Lng. ), about 10 miles away. 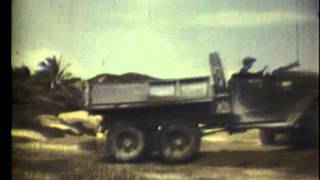 Hawkins Field is a former World War II airfield on Betio, Tarawa in the Gilbert Islands of the Central Pacific. The airfield was named in honor of USMC 1st Lt. William Dean Hawkins who was killed in the battle to recapture Tarawa, and earned the Medal of Honor. Located at 1.35625, 172.93 (Lat. / Lng. ), about 4 miles away. Abatao is a settlement on the island of Tarawa, Kiribati. Located at 1.40058, 173.118 (Lat. / Lng. ), about 11 miles away. Marenanuka is a settlement on the island of Tarawa, Kiribati. Located at 1.46667, 173.033 (Lat. / Lng. ), about 10 miles away. Taborio is a settlement on the island of Tarawa, Kiribati, where the Immaculate Heart College, a Catholic school, is situated. Located at 1.5, 173.017 (Lat. / Lng. ), about 12 miles away. North Tarawa or Tarawa Ieta is the string of islets from Buariki at the northern tip of Tarawa atoll to Buota in the South. It is administratively separate from neighbouring South Tarawa, and is governed by the Eutan Tarawa Council (ETC), based at Abaokoro village. These are some bigger and more relevant cities in the wider vivinity of Tarawa. These are the most popular locations in Kiribati on Tripmondo.